City of London, like Murray Income, is another of my steady, predictable, middle-of-the-road income trusts. 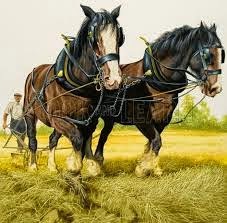 In my corresponding post last year I referred to CTY as feeling like a dependable, faithful old carthorse. City have just announced full year results for the year to 30th June 2014 (link via Investegate). Share price total return has increased by 15.1% over the year compared to the FTSE All Share benchmark of 13.1%. Dividends have increased by 3.2% from 14.3p to currently 14.76p giving a yield of 3.9%. The dividend was increased for the 48th consecutive year. Ongoing charge remains, at 0.43%, the lowest in the sector. Over the year there was again a reduction in the weighting in large UK-listed companies with a corresponding increase in the weighting of medium-sized and overseas listed companies. Large companies (FTSE 100) account for 69% of the portfolio, medium companies 20% and overseas-listed companies, 11%. Looking at their top 40 holdings, I hold a significant number in my individual shares portfolio namely Glaxo, Diageo, Unilever, BHP Billiton, Legal & General, Centrica, Reckitt, Imperial Tobacco, IMI and BSkyB. This is the nearest proxy to a HYP portfolio often discussed on the Motley Fool discussion boards. I have been monitoring the performance of my individual shares portfolio against a basket of investment trusts for the past 4 years. In each of those years, the basket of trusts has delivered slightly better returns than my shares. This year, they seem to be on track to repeat this out-performance. More on this at the end of the year! 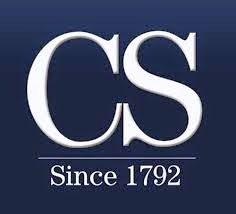 Charles Stanley were the first stockbroking firm to own its own website and this has transformed into the low cost DIY platform, Charles Stanley Direct service, launched in 2013. The firm's financial planning capability has continued to expand nationally; and the group has grown into a significant provider of SIPPs. They now employ over 1,000 people equally divided between London and the regions. In December 2013 they purchased a fund management group, Evercore Pan Asset Capital Management Limited, for a partly deferred payment of up to £2 million. Pan manages in excess of £500 million on behalf of pension funds, charities, and corporate and private clients. It specialises in providing passive investment management within market sectors which it actively selects, and this brings a new dimension to the groups investment management expertise and to the range of investment opportunities available to their existing client base. The group have incurred significant additional costs over the past year as a result of RDR compliance requirements, upgrading systems to provide an improved service to clients and combined with the roll-out of the diy platform, Charles Stanley Direct (CSD). The company issued a trading statement earlier this week warning that profits are likely to be below previous expectations. This had a knock on effect to the share price which has been on the slide for much of the year. That said, client funds have increased to £20.5bn over the past 5 months and CSD has increased assets by 18% to £0.9bn. This share has been on my watch list for over two years so this is no impulse decision. Just 9 months back the share price had reached over 500p - the current dip to around the 300p mark has provided an opportunity to pick up my usual ‘half’. The company have a most impressive dividend record and the current yield is 4.0%. I am fairly confident the board will be able to maintain the current level and that the forecast dip in profits will prove to be a short term issue - but of course, no guarantees! Since the launch last year, CSD has secured over 16,000 clients and an increase of 27% in funds and investments held as at March 2014. Therefore with, for example, a range of low cost trackers, the total costs of running a well diversified £25,000 portfolio could be done for well under £100 p.a. Obviously with larger portfolios, the percentage model is not so attractive. Of course, following an effective warning on the current years profitability, the share price may see further weakness and I will await the interim results and probably the full year results next year before considering adding to my holding. I do however feel reasonably optimistic on the longer term prospects for this small cap. I would be interested to hear what others think about CSD, particularly if you hold an account with them. This FTSE 100 retailer was added to my portfolio last October. Today NEXT trades from more than 500 stores in the UK and Eire and almost 200 stores in more than 30 countries overseas. Online shopping was introduced in 1999 and the entire book became available to shop from on the internet, page by page – another first in home shopping in the UK. NEXT Directory now also serves customers in around 70 countries outside the UK. They have today issued half year results to 31st July (link via Investegate). Retail stores and its online business both delivered significant growth to lift profit before tax 19.3% to £324.2m for the six months period, with earnings per share up 22% to 173.3p. Sales are up 10.3% to £1.85bn and their full year guidance has been lifted to between 11% and 17% (previously 5.5% and 9.5%) with profits estimate now raised to between £775m - £815m. 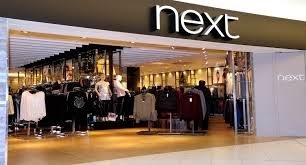 "NEXT has had a good first half, achieving sales and profits ahead of our original expectations. Total sales were 10.3% ahead of last year. Retail stores and NEXT Directory (our online business) both delivered significant growth. Profit before tax rose by 19.3%. Over the last six months NEXT has experienced its strongest sales growth for many years. We have made good progress improving and extending our ranges, opening profitable new space, improving our service and growing our online business - both in the UK and overseas". The online buisiness continues to expand overseas and they have started trading in 11 new countries including China which they say presents an ‘interesting opportunity’. 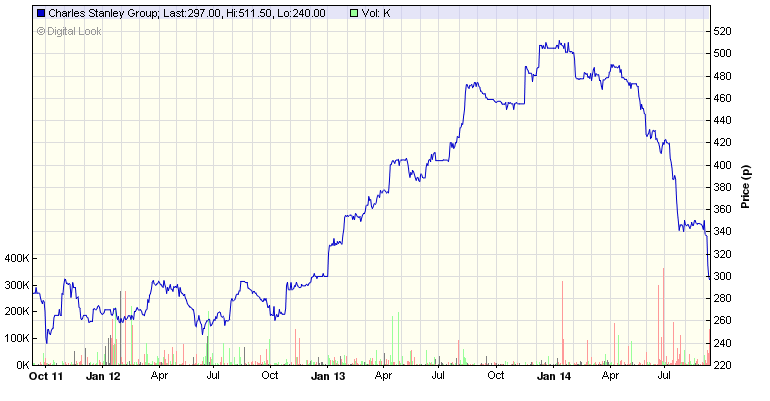 The share price has seen a strong performance since the start of the year increasing 30% from £54 to £70. The interim dividend of 50p - up 39% - will be paid in early January. I am happy with progress so far and topped up my initial holding earlier in the year. Murray Income Trust has been in my basket of income focused investments trusts for several years. Its probably not an investment that is going to shoot the lights out but I regard it as a fairly solid, middle-of-the-road steady performer. It has a record of increasing annual dividends in each of the past 40 years. It is currently managed by Charles Luke and his team at Aberdeen Asset Management. It is essentially a UK income trust but like several others in this sector, the management have been gradually increasing their exposure to larger, high-quality overseas listed companies. These currently make up 18% of the portfolio and include Microsoft, Roche and Nestle. It has this week issued its results for the full year to 30th June 2014 (link via Investegate). Share price total return is up 9.4% compared to the FTSE All Share Index of 13.1%. The reason for the apparent under-performance is the share price having moved from premium to trading at a discount to NAV. The NAV total return for the year was marginally ahead of the benchmark at 14.0%.Over the past year they have increased the quarterly dividend and held the final dividend to provide investors with a smoother flow of income. The board are proposing a final dividend of 10.25p making a total of 31.25p for the full year - an increase of just 1.6% compared to the previous year (30.75p). At the current share price of around 772p, the yield is 4.0%. The managers policy is to buy and hold for the longer term - portfolio turnover was again very modest with just four additions - Inmarsat, Ultra Electronics, US-listed Microsoft and finally Verizon Communications as part of the spin-off from the holding in Vodafone. The only two sales were Morrison Supermarket (retained for far too long) and Amec. Income generation has been weak, partly due to the rise in the value of sterling - 50% of the holdings derive their income from the US dollars or euros. The Board say they are hoping to make more progress on increasing the dividend over the coming year and the recent pull-back of sterling against the dollar will help. "Our aspiration in terms of portfolio construction has not changed, our aim is to build a sensibly diversified portfolio that is not dependent on any one particular economic scenario but provides broad exposure to the market as a whole while generating an above average dividend yield. Equally, we are keen to ensure that each investment can make a difference, hence the relatively low number of 45 individual holdings". Charles Luke. Overall, an average performance for the year with the promise of a little more to come in the way of income next year. I am happy to continue holding - both SIPP drawdown and ISA - but unlikely to be adding. It will be interesting to compare with City of London Trust which reports next week. 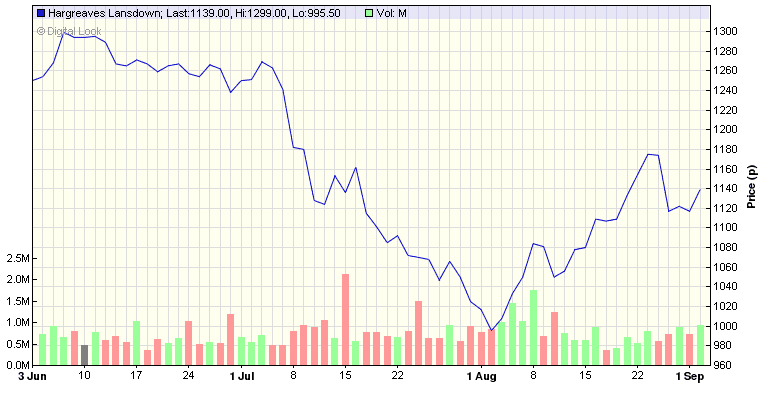 HL was added to my portfolio in July - the main thing I have noticed is the volatility of the share price. Shortly after the purchase, the price fell to under £10 followed by a rapid surge over the next couple of weeks to £11.70 then a one day drop of 5% to £11.17. Following todays results announcement the share price is down around 4% at £10.90 - talk about rollercoasters! Founded in 1981, they have grown rapidly and currently have over 600,000 clients and employ around 800 staff. 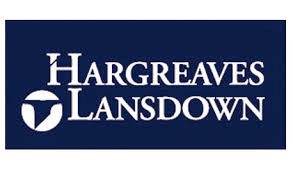 In total Hargreaves Lansdown has almost £47 bn of assets under administration or management on behalf of private investors. HL is the largest direct investment company in the UK, with 32% of the market. The Group also provides independent financial advisory and stockbroking services to private investors and advisory services to companies in respect of group pension schemes. The company issued a very positive trading update at the 9 month mark in April, which was the prompt for me to purchase the shares in July, so today’s preliminary full year results are very much as expected (link via Investegate). Approximately 144,000 new clients signed up during the year - an increase of 89% on the previous year - with clients now totalling 652,000. In the short term the company has seen a reduction in annuity business of around 50%, but said this has been counteracted by a substantial shift to drawdown arrangements, with new assets into pensions drawdown arrangements up 35% on the year before. The company plans to launch a new flexible drawdown plan to exploit the reforms which take effect next April. HL profits appear to have (so far) withstood the effects of the new pricing regime introduced in March. No figures were given for the last quarter but it appears they continued to build on the 3rd quarter which seems to suggest the defections so far has been fairly limited. The figures were boosted by the Royal Mail floatation where around 118,000 people, approximately 18.5% of the UK public who invested in Royal Mail shares, did so through Hargreaves Lansdown. It appears to have absorbed the regulatory changes of the Retail Distribution Review (RDR) and reported a 93.3% client retention ratio. Total dividends, including special, for the year have increased 8% to 32.0p (2013 29.59p). This gives a yield of 2.9% based on the current share price of 1090p. The Group is soundly financed with a strong balance sheet and no borrowings. This is an important strength which in addition to being attractive to clients provides both resilience and flexibility. Cash balances totalled £201.2m at the end of the year (2013 £177.7m). I think share price volatility (high beta) will be an aspect of holding this share I will need to adjust to, however the overall direction is positive and I expect to see further developments over the coming 12 months.